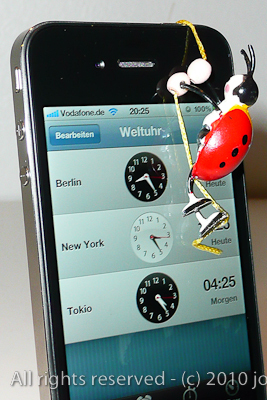 Joe´s Photo Blog: The Iphone Alarm Clock DST Bug - and how to fix it. The Iphone Alarm Clock DST Bug - and how to fix it. Yes, I have got it too. And yes I WAS late Monday after the Daylight Savings Time (DST) Change in Europe. iPhone Alarm Clock Bug "in Action". Apperently all iPhones 3G, 3GS, iPhone4 and iPod Touches 2nd through 4th generation are affected by a software bug that rings alarm clocks 1h late after the DST time switch. The internal clock (which is also the source for the built in (alarm) clock as well as third party alarm clock apps) is adjusted correctly but internal alarms WITH a REPEAT SCHEDULE setting are NOT. They go off 1h late. Deleting and reprogramming the alarm doesn´t help. The only fix is to RECONFIGURE alarms to NO REPEAT setting - which effectivly sets them to "daily" as long as they are activated. And finally of course apply the Apple iOS bug fix for this which is in the works (I have heard a "Gold Master" ist out already.). The bug has been first found in New Zealand and Australia (who were first to switch back from DST to "Winter time". Then Europe was hit beginning of this week - and the US will suffer next Monday Nov. 8th - IF, and only IF (fingers crossed) Apple will not be able to supply the fix "JUST IN TIME" on this very weekend. We can only assume that Apple engineers are working feverishly to publish the fix before 10 millions alarms will fire off late on Monday. Right now (as I write this 8h50 CET New York time) there is no Update available yet in iTunes. Around 90 Million iPhones or so are out (not counting all the ipod Touches), let´s assume 40% of those are used in the USA. 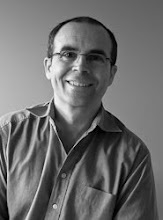 Let´s further assume 20% of the users do use the alarm clock and rely on it. Let´s estimate that being an hour late to work creates an economic impact of 25$ (Machinery not operated, Calls not answered, shipments not expedited, flights missed etc.). This adds up to 250Mio$ economic damage on Monday not counting the hours 50 million users will spend time to find out the cause, browse the internet for solutions, time spent finally with iTunes to apply the fix etc. Small cause - big impact.